Home / Local News - Local Accident & Injury Articles / Chicago / Who is liable in deadly Chicago party bus accident? In the early morning hours of June 3, 2017, a terrible accident led to the sudden death of a young man. A “party bus” was headed northbound on Interstate 294 in Northbrook, Illinois, traveling at a normal speed. At around 3 a.m., passenger James Larsen, 27, stood up and walked to the front to adjust the volume on the music. He tripped, fell down the stairs, and then, tragically, fell out the doors of the bus and onto the freeway. He was struck by an SUV and died at the scene. The SUV drove off, and was sought by police for hit-and-run. Soon after Larsen’s death, questions began to surface about the safety of the bus. When he fell against the single-pane hydraulic door of the bus, it appears to have opened automatically, sending him onto the pavement. And although this would appear to be a freak accident, such incidents are more common than you might expect. A party bus is a large, customized bus or coach, designed to carry groups of 10 or more for entertainment purposes. In recent years, dozens of cases of deaths on party buses across the United States have involved people falling out of the buses, including a 2013 case in Los Angeles that was strikingly similar: a passenger falling out the doors of a party bus while adjusting the music volume. This accident resulted in a personal injury wrongful death lawsuit and criminal charges. The bus, which was the property of Select Limousine Service, had passed a safety inspection only a few weeks before the crash. However, the driver lacked a valid medical card and passenger endorsement on his commercial driver’s license. If a rental vehicle’s doors are defective, is the rental company liable if an accident occurs because of it? 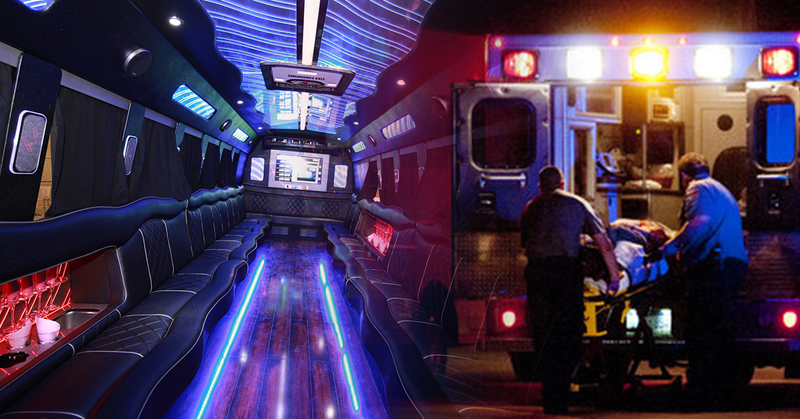 Party buses, like other types of buses, are considered “common carriers” under the law, like planes and cruise ships. Common carriers have a strict legal obligation to protect the safety of their passengers, and to ensure that all safety features are up to date and functional. If there are any dangers that remain present in the bus, the owner must at least notify passengers that these dangers exist. However, lawsuits against party bus rental companies are not foolproof. The plaintiff must prove negligence in court, which means that they must show that the rental company had some duty and breached that duty, leading to the plaintiff suffering an injury. If an accident on a party bus was entirely the fault of the passenger, the bus owner would not be liable. Similarly, if the passenger came to some harm through an act of nature, such as poor weather conditions, or through robbery or other third-party criminal activity, then the rental company would not be liable if they had taken reasonable precautions to avoid the danger. In this case, the accident is under investigation, and the victim’s mother has filed a wrongful death lawsuit against the companies that owned and operated the party bus.